Do you live in Cardiff, Newport, Chepstow, Monmouth, Caldicot, Abergavenny or the surrounding areas? Look no further. 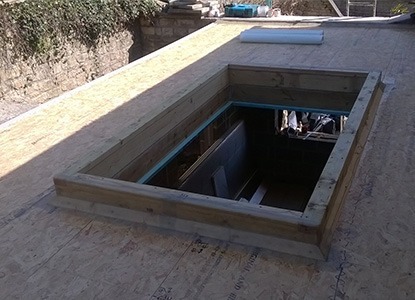 With over 30 years of experience working with fibreglass on a day to day basis, we have gained a vast knowledge allowing us to tackle any job, including fibreglass flat roofing, valley gutter lining, pond lining, tank lining, Koi Carp ponds and wet room lining. We also carry out small runs of bespoke architectural, display and ornamental mouldings. 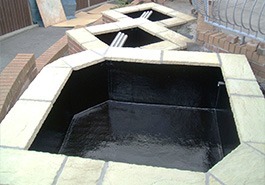 We offer a full GRP pond lining service; your pond can be any shape or size. We can complete any complex design and finish in any colour you choose. Glass fibre is the perfect lining system. GRP pond lining is perfect for Koi Carp and the GRP Pond Lining can be tailored to suit your every need. Valley gutter lining installed in glass fibre is so versatile. If you have an awkward detail whilst designing your conservatory or have a commercial property that leaks, maybe fibreglass is the answer. 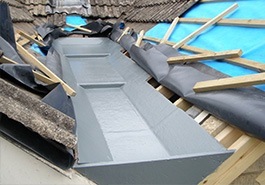 Valley gutter lining in GRP. If we can get to it, we can line it! 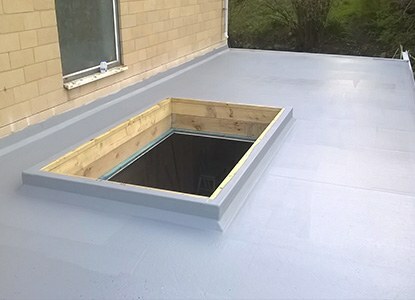 We have been installing Fibreglass Flat Roofing in South Wales for over 30 years. 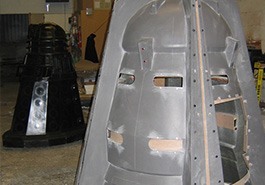 The experience we have gained working with fibreglass (GRP) ensures a top quality product. 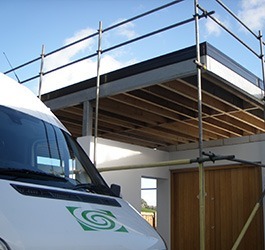 You can rely on our expertise and good practice to complete your project to the highest standard. You are in safe hands with us, no matter how big or small the job. We have worked hard to build a reputation all over South Wales for quality, reliability and professionalism. For your peace of mind we offer an QANW insurance backed guarantee with all our fibreglass flat roofing in South Wales. 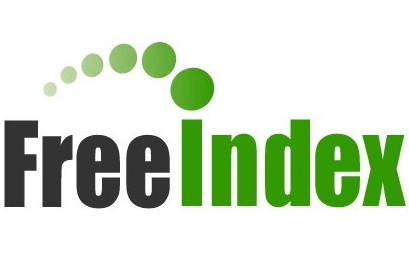 Once you have contacted us we will come and meet you, give you a detailed, written, no obligation quote, free of charge (if you're local to South Wales) and when we have finished your job, we won't leave until you're happy with every detail. We are not a big company, so we can offer you a friendly, personal service tailored to your needs. Having an eye for detail and making the time to get that detail correct is reflected in the end product; this is why our products look and perform a lot better than others. We have quality as standard throughout all of our services. 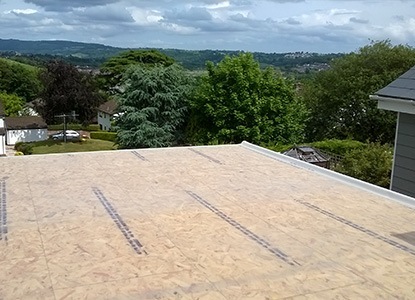 We do the BEST fibreglass flat roofing in Newport, Cardiff and all of South Wales! For more examples of our work please visit our GALLERY.